Fitzgerald Realty Group, Inc. has a long history of charitable giving in the Frederick community. This year we launched an Annual Spirit of Giving campaign in December 2018. 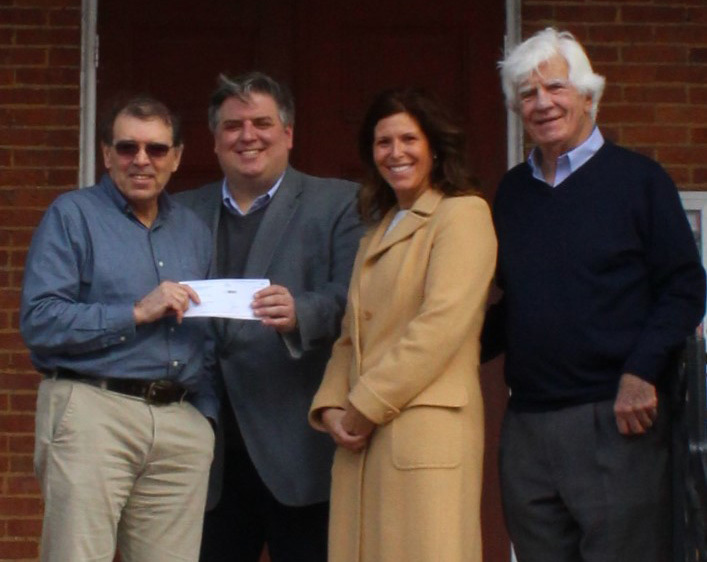 We offered regional commercial brokers an opportunity to donate $100 in their name(s) to a local charity for a qualified property showing at any of this year's featured properties; The Firehouse, Monocacy Trading Center, and The Monroe Center. We successfully arranged six qualified showings and would like to thank the recipients who participated: Tim & Jack McShea with Avison Young, Joe Donegan with Scheer Partners, Aric Rudden with Anselmo-Rudden Commercial Property Advisors, Chris Kline Jr. with Frederick Commercial Real Estate, Neil Draddy with Jay Clogg Realty Group, and Dave Chapin with Chapin Commercial. With a further donation from ourselves, we proudly donated $1000 to this year's recipient, The Frederick Rescue Mission. "We're pleased with the response to our first Annual Spirit of Giving campaign, said Seamus Fitzgerald, Executive Vice President of Fitzgerald Realty Group, Inc. "We look forward to raising even more for a deserving charity in 2019." Thank you to local commercial brokers for helping the homeless, the working poor and less fortunate in our beloved Frederick community. The Frederick Rescue Mission is a non-profit ministry that is entirely funded by private gifts from companies, organizations and the public with no government assistance.